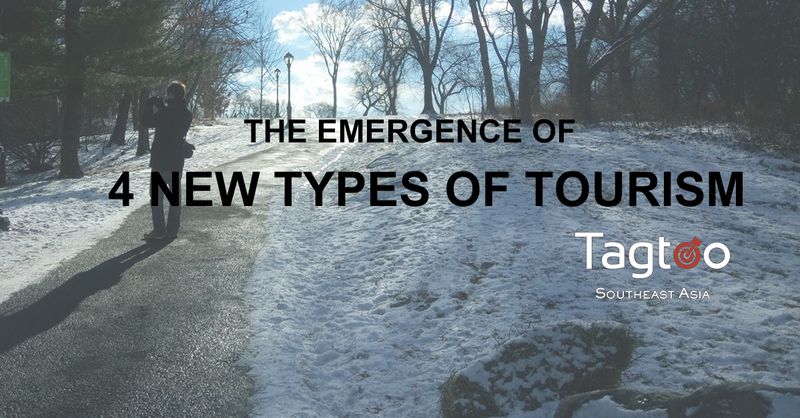 Despite that the emergence of new types of tourism may create an unique opportunity for travel operators, it also poses an unknown challenge ahead of the future. With the rise of environmental awareness around the world, more and more people are becoming conscious of the impact and pollution they cause on the planet. Consumer desire to reduce carbon footprint by taking public transportation and strive to deliver social influence by choosing a company featuring environmental protection. Simply put, all they are trying to do is evoke the senses of responsibility and sustainability in every daily activity. Travel, as an integral part of our life, is no exception. The growing number in voluntourism, a combination of volunteering and tourism, is exactly the best proof. People not only want to leave a long-term positive impact but also contribute as much effort as they could to the local community when they are traveling. As such, it is expected that involving sustainability or anything beneficial to our environment into tour activities become necessary if tour agencies desire to catch the surging wave. Within the building blocks of best travel experience, food is one of the defining factors leading to an unforgettable memory. Food experience determines the travel’s satisfaction level toward destinations. More precisely, travelers might judge an tourist attraction based on the local dishes because food is tightly bound to the corresponding tourist spot. With that said, the “food tourism” we mention here doesn’t exclusively refer to eating only. Vegetable farm, produce market, tasting session, and so on, are all the destinations and events travelers would like to visit and give it a try, providing an opportunity to create a unique experience. Pub crawl and food hopping are also the classical examples travel agencies should involve into their product lists. Indisputably, the rise of food tourism is forming a huge trend and need more attention to managing detailedly and carefully. Due to the increasingly stressful working environment and highly burgeoning peer competition, pursuing wellness travel as a temporary break becomes a good way to stay away from the secular noisiness. While wellness travel, referring to tourism promoting health and well-being through physical, psychological, or spiritual activities, has come into existence for a while, it’s only recently that becomes massively popular. According to a travel column conducted by booking.com, 48% of travelers are willing to take holidays as a moment to “reflect and make better life choices”, and nearly 40% are interested in health or well-being travel experience. Obviously, recharging themselves by going for wellness travels would become one of the most desirable choices. Undeniably, the growing demand discloses an unprecedented opportunity for travel agencies to diversify product line and discover a niche in the outstandingly competitive landscape. With the growing trend demanding new travel destination, those popular and must-go tourist attractions, metropolitan museum of art in NYC, for instance, may no longer be the stand-out choice for some travelers. An authentically and locally, sometimes off the beaten tracks, ancient ruins or historical landscapes become the best alternative instead. The burgeoning tourism in Southeast Asia, which was not the first choice for international visitors in the past, is a manifest example. This increasingly popular type of travel, also called experiential travel, highlighting the connection with the historical and cultural context. Travelers crave to learn and understand something new and different by immersing themselves into new cultures. The first-hand experience in the whole process of tea production in Vietnam, for example, may become a sought-after experience to satisfy those travelers’ desires for something alternative.